David Eden is among the most reputed and popular brands you can ever come across when it comes to fashionable and designer shoes. It is considered as a luxury to own one of his creations in your wardrobe collections. David Eden features exquisite and exclusive collections of shoes that are truly remarkable in terms of their quality and style. You can never go wrong while shopping for their shoes. As a branded product, these shoes might be slightly expensive when compared to other models and brands. However, every penny you invest upon these shoes is worth its while owing to its immaculate quality and style. Men as such have become highly conscious in today's world when it comes to fashion and they have started to experiment and explore. Much to their advantage, fashion industry at present is coming out with various styles and options just for catering your needs and the same holds true when it comes to David Eden Shoes. Every product created by David Eden as a brand is truly genuine as they are made from genuine leather. 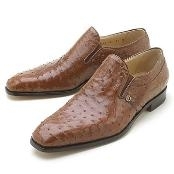 You can find alligator shoes, lizard shoes and many more for a wide variety of options. Shoes also play a critical role in terms of defining your fashion style and personality. You ought to be very careful while pairing them as an inappropriate combination could make you look shabby and inappropriate. The best part about these David Eden Shoes is that they are highly versatile and comprehensive in terms of their style. You can pair them appropriate with any kind of fashion sense and get that desired outlook you have been seeking for all this while.These shoes give you that touch of sophistication and aristocratic outlook. And you can look like one among the elite men. Our prices for these shoes are highly competitive and fair.